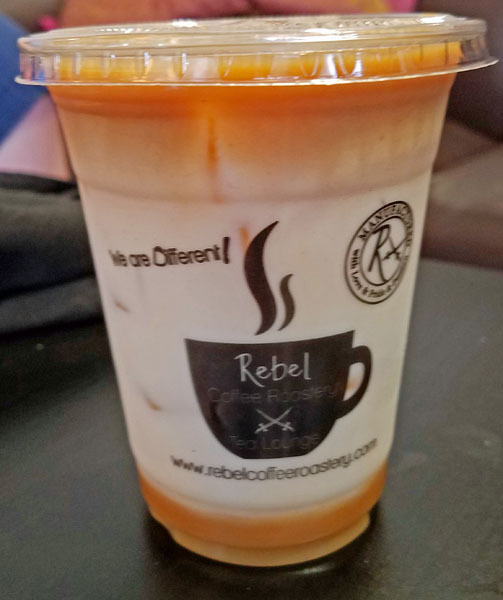 While back in Southwest Florida recently visiting family, I came to the realization that I had never been to an indie coffee shop in my times down there. Wait how did that happen?! 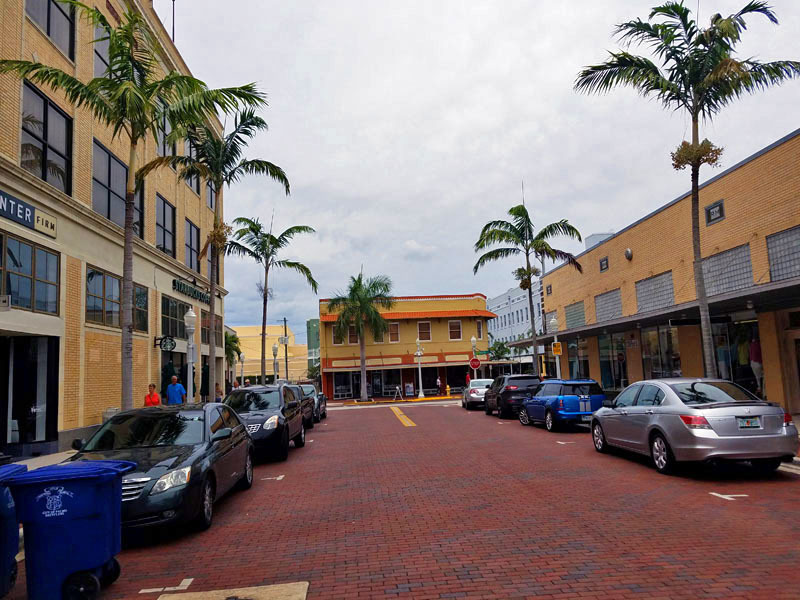 Well my family and I happen to be in Downtown Fort Myers one day and my wife asked if I wanted to stop at a local shop. Right then and there I decided to put an end to the madness and did a Google search for “coffee shops near me”. 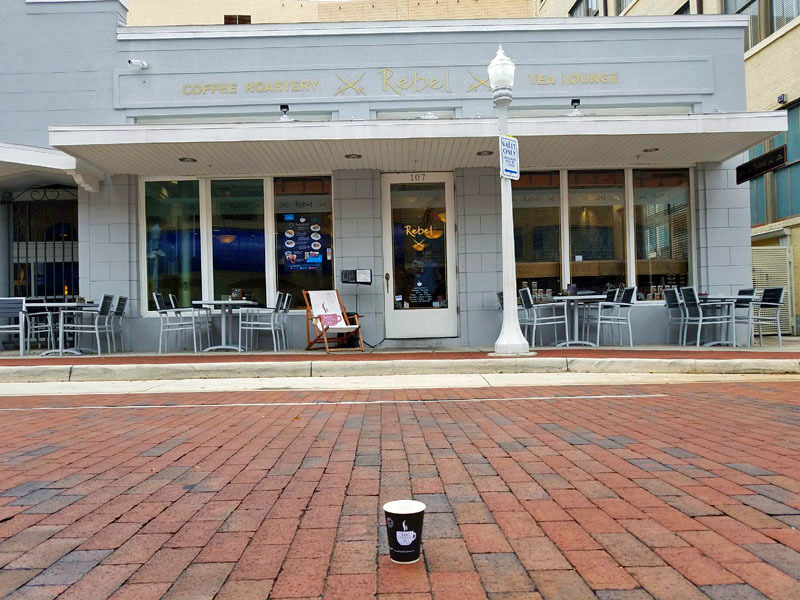 A few minutes later we were parking on the red brick of Broadway street right in front of Rebel Coffee Roastery & Tea Lounge. This was the shop that immediately peaked my interest from the search results. 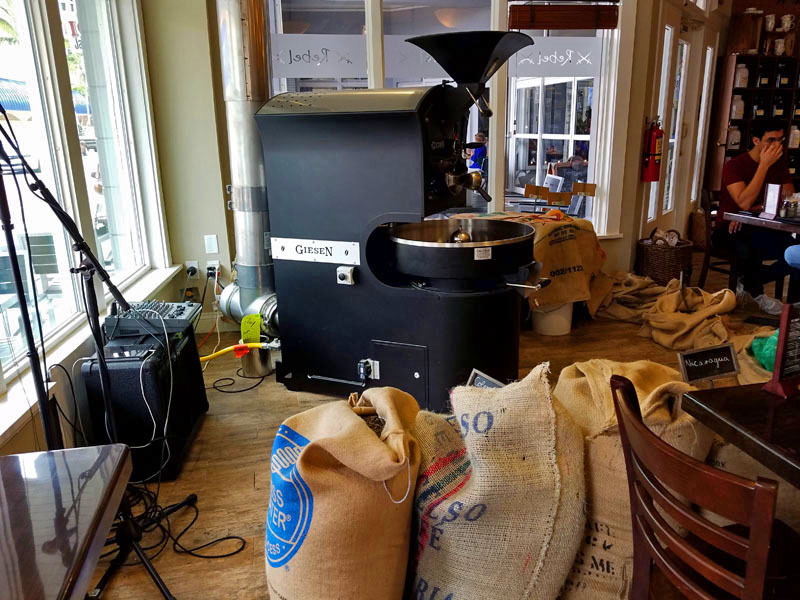 “In-house roasted beans” and “roastery” were the key terms. 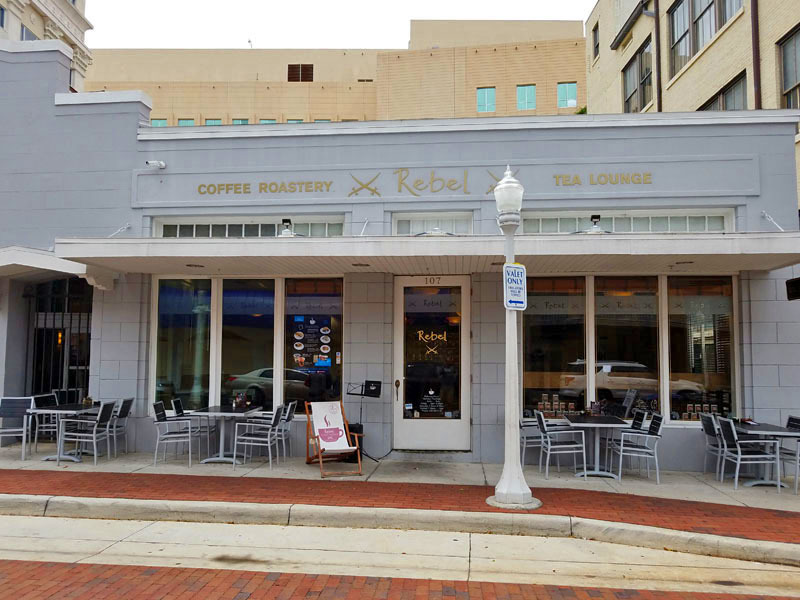 Upon entering the well-designed light blue outside storefront, there lied the roaster and large burlap bags of coffee beans. I knew they meant business. 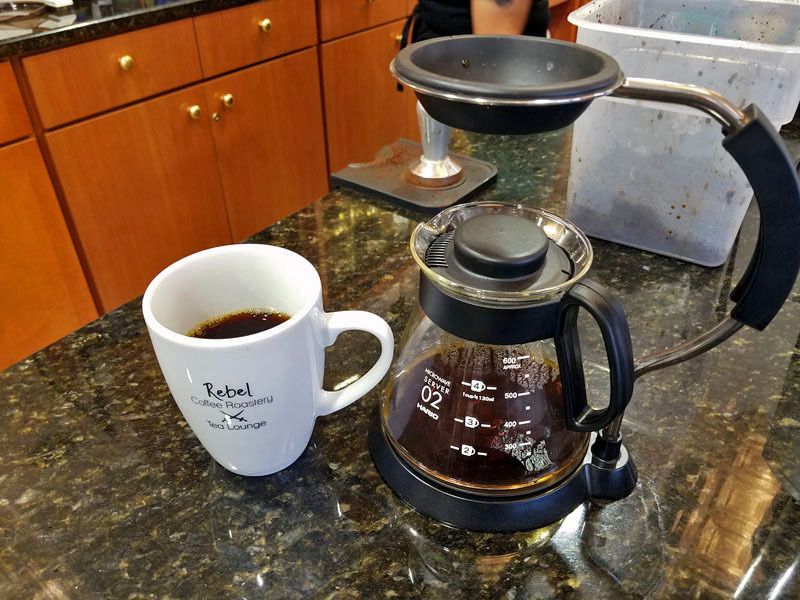 After looking at the extensive coffee offerings hand-written on the chalk menu, as well as their large bean selection, I went with a pour over. 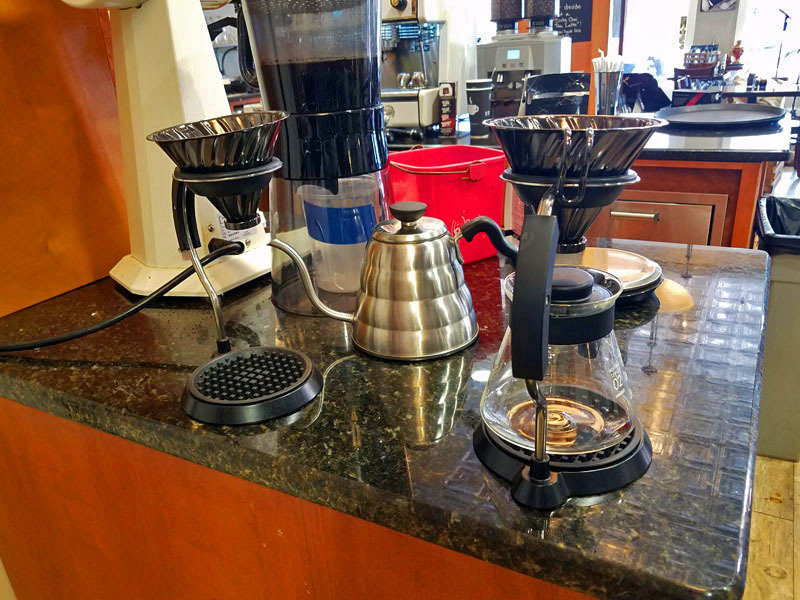 Ethiopian Yirgacheefe was the bean choice. I’m on kick recently of using beans from this Ethiopian region, known to many as the birthplace of coffee. 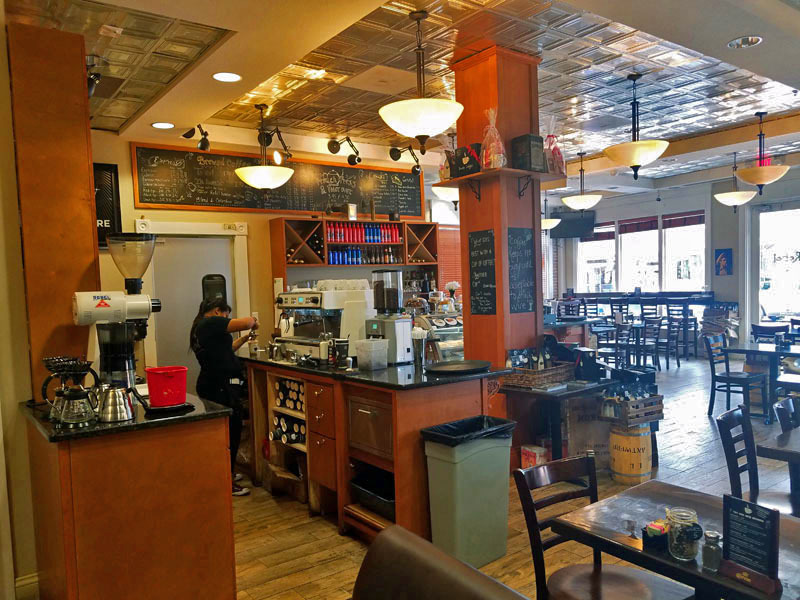 Espresso and handcrafted drinks, lattes, hot and iced coffee all filled up the menu. Tea is also in their name. 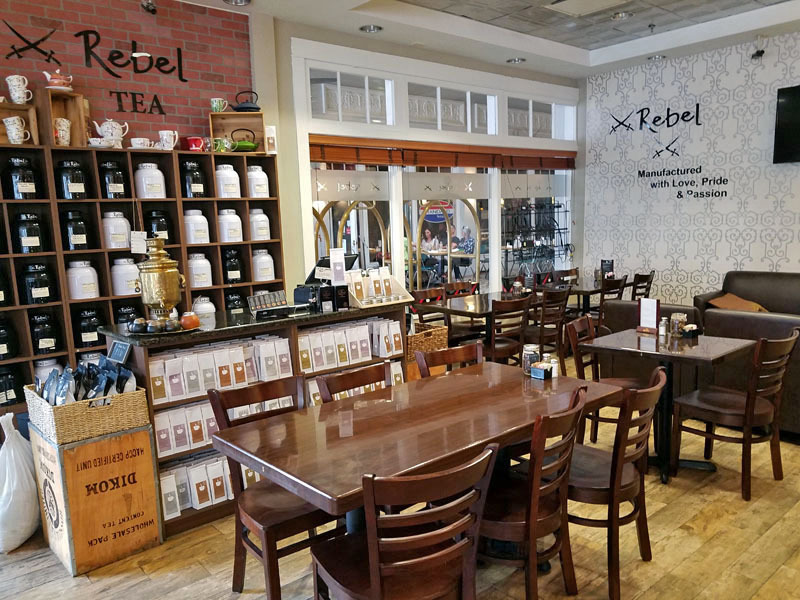 Rebel Coffee Roastery & Tea Lounge has 600 loose leaf tea options awaiting. It was a typical hot and humid Southwest Florida day. Nevertheless, hot coffee is how I roll, especially when at a shop for the first time. My coffee choice definitely didn’t disappoint. My wife ordered a more sensible iced vanilla latte considering the weather ha-ha. She said it was good and very refreshing. Our little one took to some of their pastry offerings. I didn’t experience, but they do offer a full breakfast, lunch and dinner assortment as well. 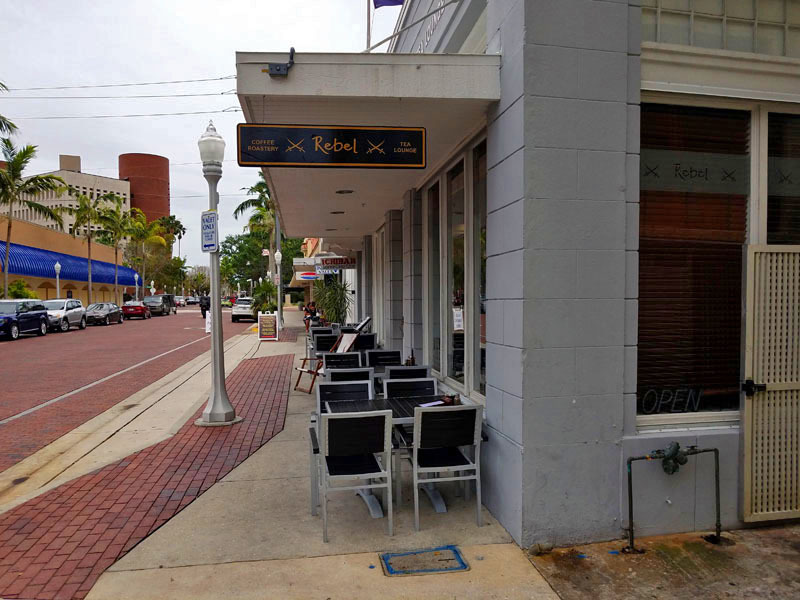 After hanging out in the expansive shop which opened in late 2016, I took the time to admire the coffee, and outside storefront alongside the brick and palm tree-lined road. What you don’t see is that there is a Starbucks literally right next store off to the right. 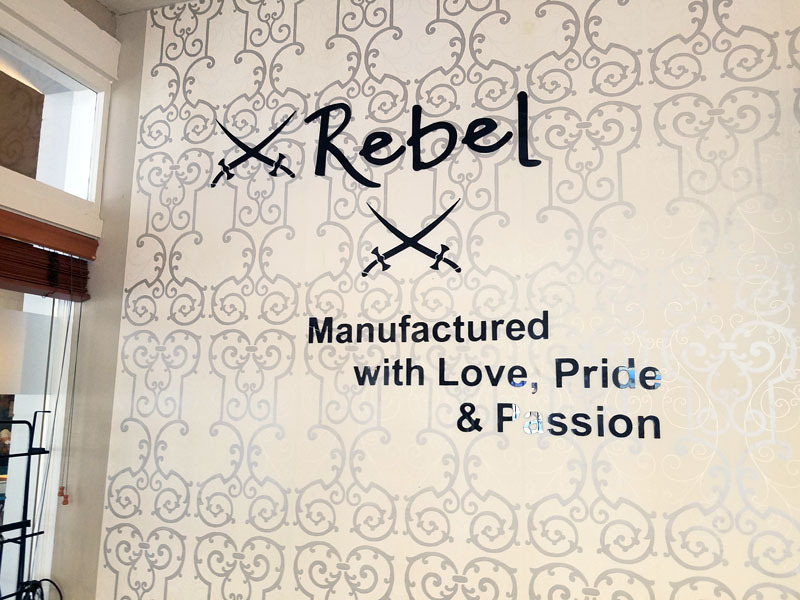 This shop you could say is being a coffee “rebel”, which is where their idea for the shop name came from. The fact that they roast their green coffee beans gourmet-style and very slowly was very refreshing to see. You can tell the great care they take all the way to the pouring of coffee in the cup. 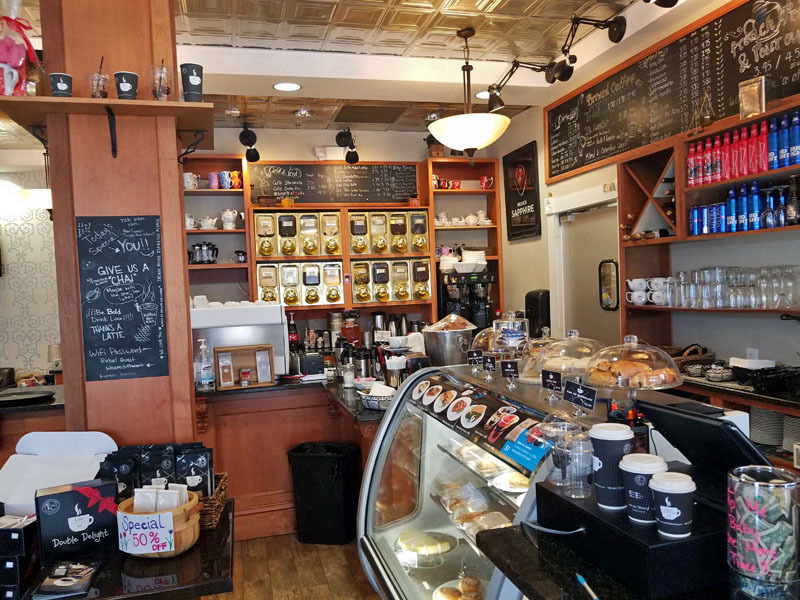 The baristas were very knowledgeable and easy to talk to. Sometimes the best shops I experience are ones I visit unplanned. 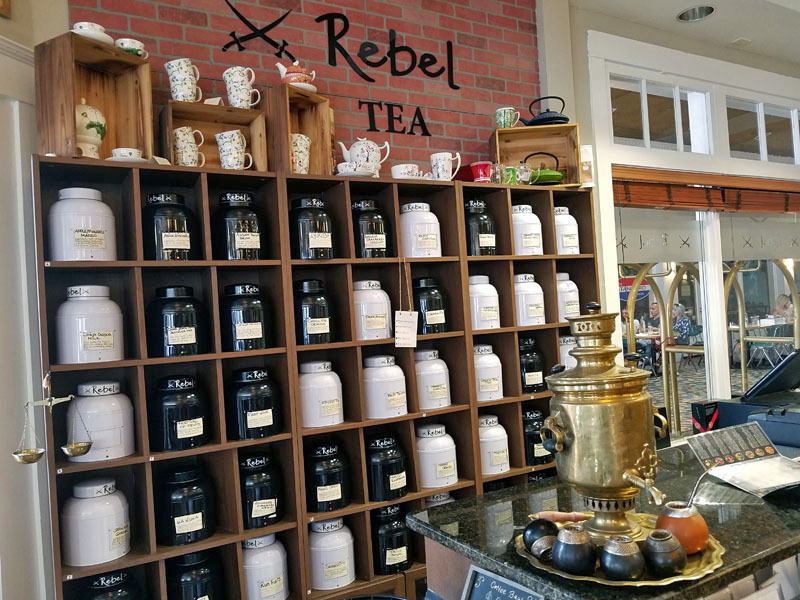 Rebel Coffee Roastery & Tea Lounge is no exception. 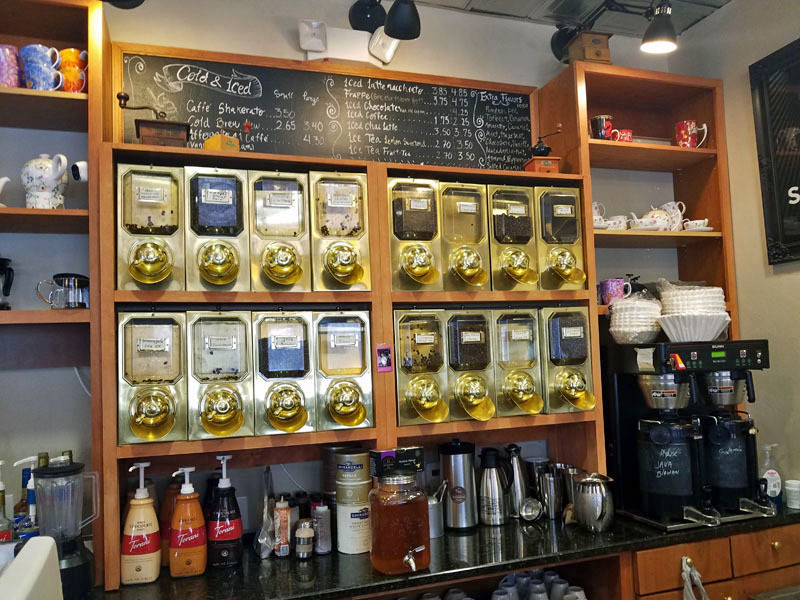 Whenever you are in the heart of Downtown Fort Myers and need some fuel or tea, I highly recommend stopping in. 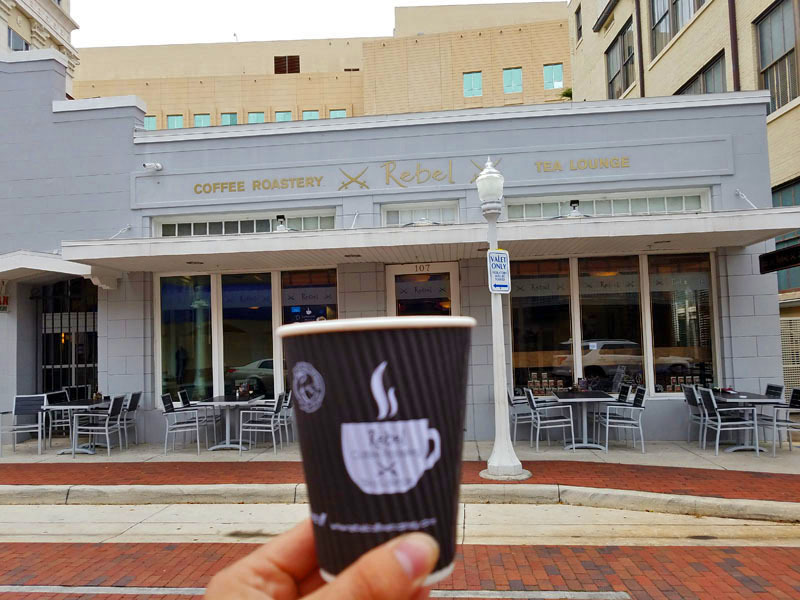 Do you recommend any other independent coffee shops in Fort Myers and Southwest Florida?